Senegal’s first utility-scale wind power project has reached financial close, drawing in support from Danish export credit agency EKF and Overseas Private Investment Corporation (Opic), the US government’s development finance institution. EKF’s backing is the most recent of the two: it announced this week that it is making available a €140mn export loan with a tenor of 17 years. Opic committed US$250mn in financing and US$70mn in reinsurance back in 2016. 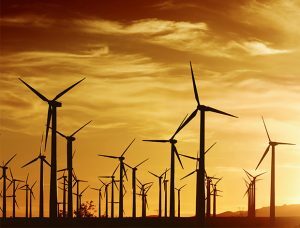 The Taiba N’Diaye wind power project, situated 70km north of Dakar, will operate under the name Parc Eolien Taiba N’Diaye and will deliver up to 158.7MW of energy to the rapidly expanding local grid, increasing Senegal’s power generation by 15%. It is expected to be fully operational in less than two years. The project is expected to be able to provide green power for around 2 million people and to prevent the frequent power cuts in the capital Dakar. With EKF backing, Danish wind giant Vestas is providing the project’s 46 wind turbines, and is responsible for the farm’s construction – which is imminent – and maintenance. “As the first utility-scale wind power project in the country, Taiba N’Diaye forms a critical component of Senegal’s clean energy strategy. The project will create an impact that lasts for generations,” says Chris Ford, COO at project owner Lekela, a renewable power generation company that delivers utility-scale projects that supply clean energy to communities across Africa. Lekela has sponsored a number of initiatives in recent years in countries such as South Africa, Egypt and Ghana. African nations have some of the best renewable energy sources on the planet, and yet green energy made up only 1% of the continent’s energy sources in 2016. Fossil-based power plants, including coal and diesel, provide much of Africa’s energy, but far from enough to meet its growing needs. “Wind energy is a fast and sustainable way to solve the supply deficit, get rid of the dependence of fossil fuels and free a country from the fluctuations in oil prices. Onshore wind farms can be built and deliver electricity at a price that can compete with the price of constructing coal and diesel power stations, and the potential for Danish wind export to Africa is therefore very big,” says Anette Eberhard, CEO of EKF. Investment volumes for renewable projects need to be increased by “a factor of five”, adds Lekela CEO Chris Antonopoulos. “We need long-term capital. To attract this type of capital we need to be able to showcase successful energy projects and we hope the project in Senegal will make a difference.” Other players in the region have also turned their attention to this challenge. In a bid to boost climate finance in Africa, the African Export-Import Bank, for one, recently announced that it had partnered with pan-African energy conglomerate Aenergy to support sustainable infrastructure projects with innovative financial mechanisms, including green bonds. The post Denmark’s Vestas gets EKF backing for wind turbine order in Senegal appeared first on Global Trade Review (GTR).